This "recovery solution" is a help center that provides innovative resumption solutions to personal data like photos, videos, documents and other files from logically damaged hard drive and memory cards. Serving millions of customers with safe & secure solutions. Go to fine your solution here. For data erasing and protection, you can find it Android Security Pages. Here this gudie presents you detailed guides to recover deleted data from dead laptop hard drive. Go on to read this tutorial and get how to get back your lost data in one click. When it comes to data recovery software, there are few products that can scan and recover deleted documents or files from computer hard drive. Let's see who they are! Your USB flash can't be accessible due no unknown reasons and data was gone, it doesn't matter how this happens, you still have a chance to get it back easily. Deleted data on your Mac by accident? Don't worry, there are plenty of ways to examine it and see if any of the data is recoverable. See how it works. I have a SD card that don't work, when I connected it externally to PC and tried to copy the files over and keep getting errors. 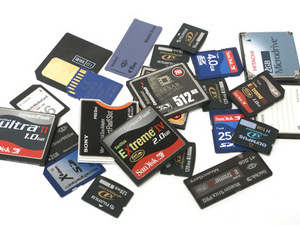 So, how to recover my data from SD card? TunesBro DiskGeeker is able to recover lost photos from camera memory card for various reasons. Please follow the steps in the tutorial to get back your important photos. I'm using a USB flash drive with Windows 7 and Windows Vista, there are many important business data on it. Whats the best method to password protect a USB thumb drive? We know Windows does not include built-in capability or apps to password protect your folders, The easiest and most secure option would be to get encryption software. There are many time you want to down and save some sensitive files on your computer but your parents don't like that. So, You need to disguise it as something else. Are you looking for ways to add a password to your folders or files, like any ordinary folder that when i try to open it up it asks me for a password in order to access the stuff inside. 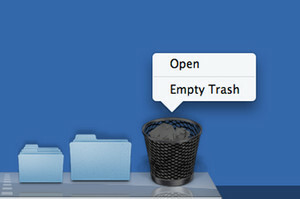 The files will be gone forever if you emptied the trash fold on Mac. You have to use data recovery software to get them back. The earlier you do that, the higher for the chance. If you just wrongly emptied Recycle Bin on your computer, then what actions to take in order to recover the deleted files? You can retrieve the files via backup or software. When you switched to a new computer, it is a must to-do step to permanently erase all data on your old Mac. Actually, a simple deletion won't secure at all. What should You do before selling your old computer? At least you should delete all personal infomation from it. What else should you do? Please check the details in the post.